The material published on this website is subject to copyright under the Copyright Act 1968 (Cth), and is owned by Education Services Australia Limited or, where indicated, by a party other than Education Services Australia Limited. Where possible, Education Services Australia Limited makes its material widely available for non-commercial or educational use. You may copy, distribute, display and download the material for non-commercial educational use provided that you include the copyright notice © 2011 Education Services Australia Limited (unless indicated otherwise) on all uses. To obtain such permission, please contact Copyright Administration and Permissions, Education Services Australia, at permissions@esa.edu.au. If this website contains links to your website and you have any objection to such links, please contact Education Services Australia Limited. 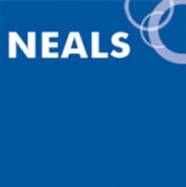 NEALS (National Education Access Licence for Schools) is an agreement between Australian education departments and other parties including Education Services Australia Limited which enables such departments, their schools and the other parties to the agreement to copy material which is marked with a NEALS logo without incurring copyright fees, provided such use is for non-commercial educational use. NEALS does not extend to copyright in the materials on this website that are owned by a party other than Education Services Australia Limited. Education Services Australia Limited has compiled the material on this website in good faith and has endeavoured to ensure that all material is accurate and does not breach any entity's rights at the time of its inclusion. However, the material may contain unintentional errors and is provided 'as is'. ii. any incidental, special or consequential damages arising from the use or inability to use the website or the material contained on it. Where liability cannot be lawfully excluded, the entire liability of Education Services Australia Limited and your exclusive remedy is resupply of the website or the material contained on it.